MGM Resort’s proposal to build a large casino in Bridgeport, Connecticut — already opposed by many surrounding towns — is now facing a new challenge, with word that the Constitution State’s new Governor Ned Lamont, only in office two weeks, has reached out to the tribes that operate Foxwoods Resort Casino and Mohegan Sun for ideas on opening a new gaming venue in Bridgeport. Lamont asked the chairmen of the Mashantucket Pequot and Mohegan tribes to consider developing some kind of gaming facility in Bridgeport, according to Mohegan Chairman Kevin Brown. Brown said that if the tribes got behind a Bridgeport project, it wouldn't necessarily be a casino resort, however. The Mohegan chair said he and Rodney Butler — who serves as the Mashantucket chairman — have discussed Bridgeport on two occasions with Lamont. Last year, Casino.org reported that the two Native American tribes said they have no interest in being part of a process to build a casino in Bridgeport. On the other hand, MGM Resorts International, which recently opened MGM Springfield in Massachusetts, wants to build a $675 million casino on the Bridgeport waterfront. Several of the state’s legislators — all located in and near Bridgeport — offered mixed reaction to the possible involvement of the tribes in a potential casino. The Bridgeport Legislative delegation has always been willing to listen to and work with anyone interested in bringing jobs and economic opportunity to Bridgeport,” State Rep. Steven J. Stafstrom (D-Bridgeport) told Casino.org. “That is why we have pushed for an open, transparent, competitive bidding process so that any interested gaming operator would have the opportunity to bid and present a package that makes the most sense for Bridgeport and the State of Connecticut,” he added. “To date, MGM has been the most outspoken on the potential Bridgeport offers and has presented plans for a robust entertainment destination. We look forward to the tribes’ putting forward their proposal as well,” Stafstrom said. One concern with the MGM proposal is what may happen to the money — which totals about $250 million per year — the tribes give to Connecticut from slot machine revenue, if a competitor opens up elsewhere in the state. Betsy Conway, general counsel for the Mashantucket Pequots, has said that payments from the tribes to the state would end the moment the state authorized a commercial casino, even before that venue opened. Currently, the tribes pay the state 25 percent of their slot revenue each month. But concerns about the regional and local negative impact from any casino opening up in Bridgeport still linger. “I am concerned about expansion of casinos in Connecticut, especially in Bridgeport,” State Rep. Anne Hughes (D-Easton) said in a statement to Casino.org, also warning about the social costs of gambling in general and problem gambling specifically. Much of the long-standing opposition to a casino in Bridgeport from surrounding communities is caused by the anticipation of additional traffic on the area’s already congested highways. “We have a horrible traffic problem in Fairfield County. I don’t see how a casino would help that,” O’Dea said. O’Dea is particularly interested if the plan from the tribes could lead to improved transportation infrastructure, possibly through public-private partnership funding. According to research from UNLV's Center for Gaming Research, Hughes is correct that slots revenues at both Foxwoods and Mohegan Sun have fallen since 2011 overall. The handle — the amount bet on slot machines — at the two casinos has fallen from a combined high of $16.3 billion in 2011 down to a combined $13.05 billion in 2018. New surrounding casinos have, of course, also popped up in those seven years, and while slots traditionally account for the majority of a land casino's profits, revenue from table games is not accounted for in these numbers. A proposed casino on non-sovereign land — located 13 miles south of MGM Springfield in East Windsor— has yet to move forward. The Day reported that a bill originally introduced by pro-gaming State Rep. Ben McGorty (R-122nd Dist) would repeal authorization for the tribes’ East Windsor casino, but McGorty says that was due to mistaken wording and that he had only intended to level the bidding playing field between commercial and tribal gaming operators. 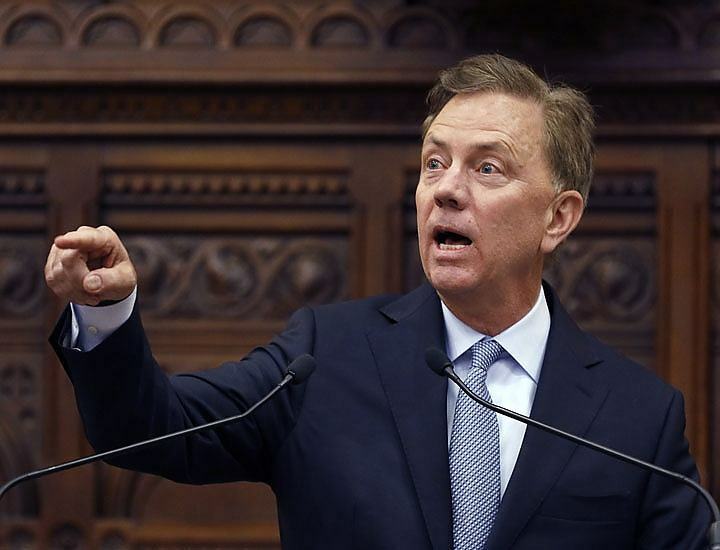 The post Connecticut Governor Ned Lamont, State Tribes Hash Out Possible Bridgeport Gaming Options, Controversy Still Swirls appeared first on Casino.org.